Two weekends ago, I woke up early to tend to the hens. Okay, so they were not my own; and I only got up early because I had to get to the Bronx, where a chicken raising workshop was held. Part of the Edible Garden educational series by the New York Botanical Gardens that was sponsored by Just Food, it was a beginner-level crash course in keeping America’s favorite poultry for companionship, eggs, and more benefits which I’ll get into soon. But most of all, for a better sense of connection with one’s food. 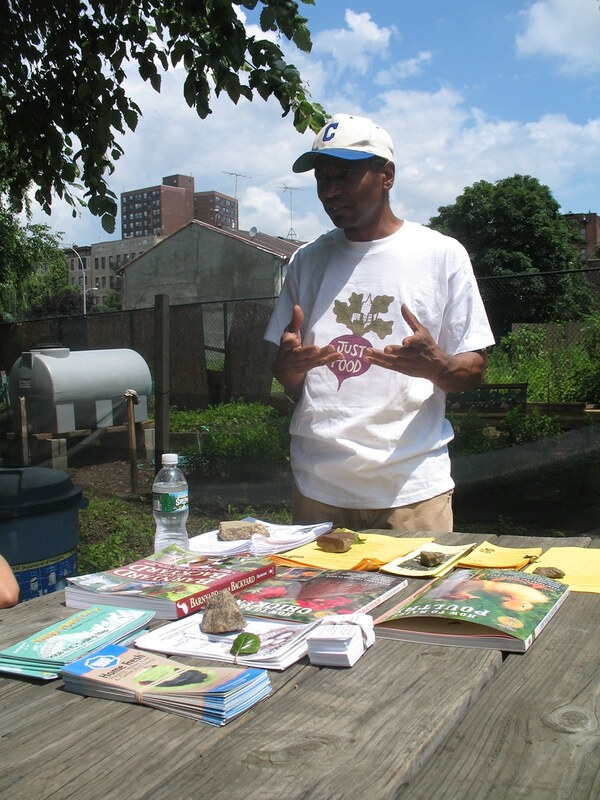 The class was held at the Garden of Happiness in the Bronx, close to the Botanical Gardens, and it was taught by Greg Anderson. Over its hour and a half duration, I soaked in some of the do’s and don’t’s of chicken raising from him, as well as a good bit of sun. There was a small audience of about a dozen attendees, and most of them had never raised chickens before. The exception among them was Karen Washington, who maintains the Garden of Happiness and offered insights herself (Greg keeps his own flock of egg-playing pets in a community garden in Crown Heights, where he lives). Like the beds of vegetables and flowers in Garden of Happiness, the half-dozen or so chickens in the community garden are kept there for educational purposes — though at the end of the class Greg moseyed into the coop and produced a just-laid, pastel blue egg. And though it takes only about 52 days to grow a bird for meat from chick, according to our teachers, none of these chickens would be slaughtered for that purpose. One of the first things to consider when getting chicks, Greg advised, is to get at least two of them. Chickens are very social creatures, and it’s best not to do as many city dog owners and only get one, as it will become lonely. They’ll also create a social order amongst themselves (hence the euphenism, “pecking order”) that’s fascinating to observe. It’s wise to introduce a new flock of chickens to a group that’s already been living together very slowly. 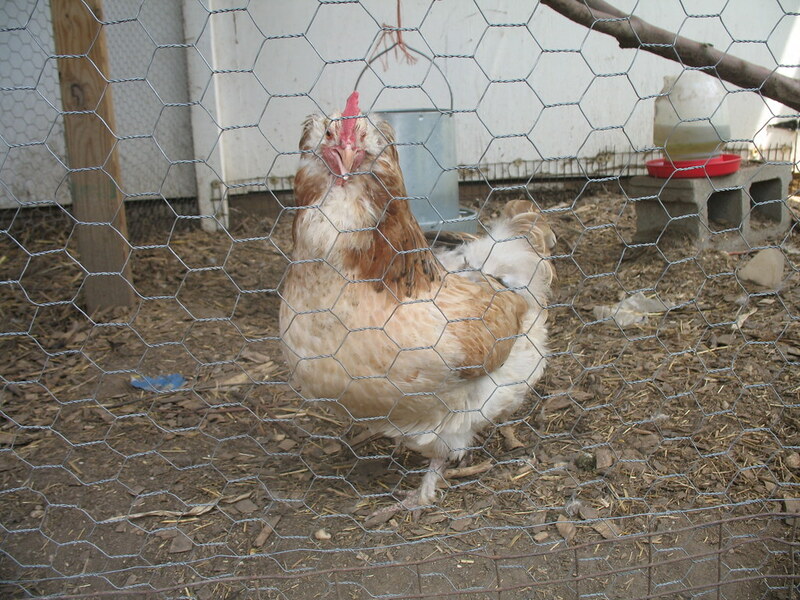 Greg doesn’t use any artificial heating in his outdoor coop, even in the winter. “Chickens are very hardy,” he explained. Most breeds grow an extra layer of feathers in the winter to keep them warm, but a strong wind is something to look out for, as it will separate those feathers and give the chicken a chill. In this weather, Greg will add lining to block the wind. All told, the work required of raising chickens pays off handsomely, according to him. He and his family eat at least two eggs per day, fresh and more protein-rich than the grocery store equivalent thanks to his chickens’ healthy diet. The droppings from the coop help fertilize their plants and speeds up composting. And in turn, the chickens will gladly eat their leftover veggies and grass to supplement their feed. Although it doesn’t look I’ll be raising my own chickens in the foreseeable future, it was enlightening to see a species I’d grown up to associate with pastoral settings thriving in an unlikely setting — the city. Keeping chickens is perfectly legal in New York City (though roosters are not), so cheers to Greg, Just Food, advocates and simple practitioners all over who are sharing their wisdom about it. And in some cases, sharing their flocks’ bounty — throughout this course, I kept being reminded of Arin and Ben, who for two local cook-offs that I’ve hosted, made a dish using their own backyard chickens’ eggs (most recently at the Risotto Challenge). Who knows, maybe a home-grown food and urban livestock cook-off is almost ripe for the hosting? Incidentally, Greg admitted he’d only come back to chicken raising over the last year. Having grown up in a household that kept chickens, he got his experience early on, but between raising kids and living in New York, had nearly forgotten about it until he turned on the TV one day and saw a Martha Stewart episode where she was handling graceful silkie chickens and their small, subtly colored eggs. “I thought, I want to do that,” Greg recalled. And so he did. That sounds like a really awesome class! What a snazzy day! And, I second Carrot. I’ve deliberately searched out this blog again after finding your green tea and coconut muffins a while back. I couldn’t keep them out of my mind! 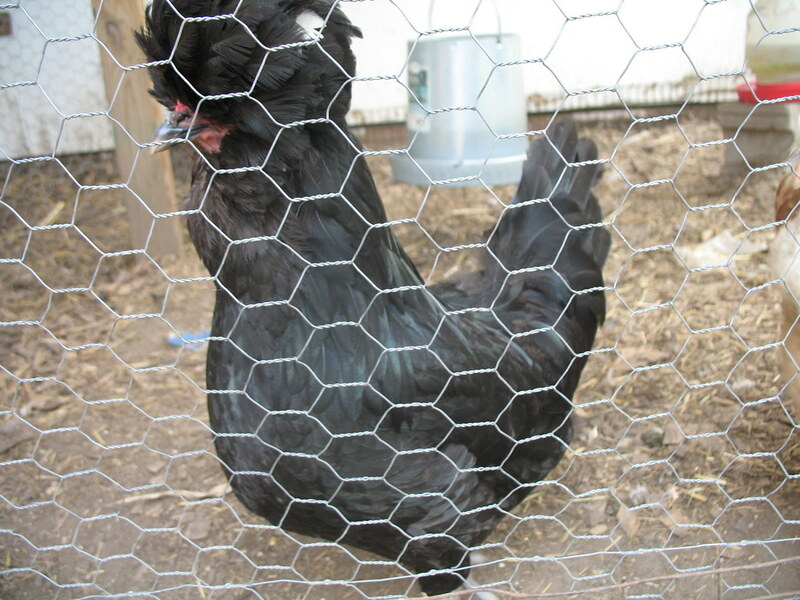 That black chicken is a crevecoeur! It’s a beautiful breed. We’re raising “urban” chickens ourselves (including a crevecoeur), but our urban reality is a little different in Minneapolis from that in New York. I was a chicken farmer back in Illinois. I’ve raised thousands of fancy breeds for show. Great piece. So glad to see it! Any questions, just contact me. Wonderful coverage of the (comparatively) boring topic for me. Maintain up the very good work!